John Adams (1735-1826) was a leader of the American Revolution, and served as the second U.S. president from 1797 to 1801. The Massachusetts-born, Harvard-educated Adams began his career as a lawyer. Intelligent, patriotic, opinionated and blunt, Adams became a critic of Great Britain’s authority in colonial America and viewed the British imposition of high taxes and tariffs as a tool of oppression. During the 1770s, he was a delegate to the Continental Congress. 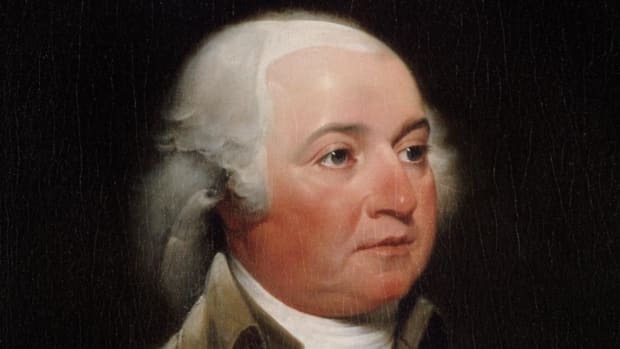 In the 1780s, Adams served as a diplomat in Europe and helped negotiate the Treaty of Paris (1783), which officially ended the American Revolutionary War (1775-83). 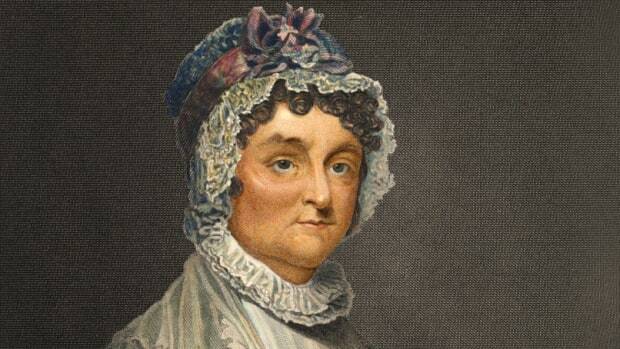 From 1789 to 1797, Adams was America’s first vice president. He then served a term as the nation’s second president. He was defeated for another term by Thomas Jefferson (1743-1826). 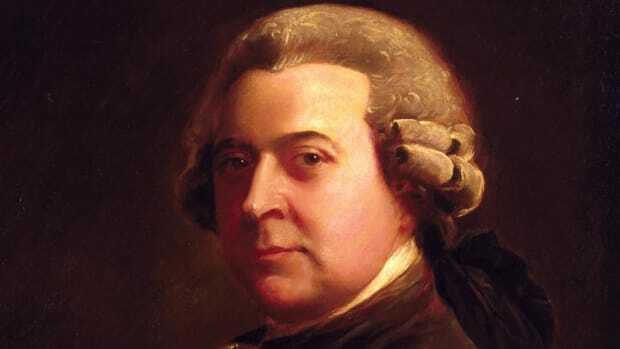 Born in Braintree (present-day Quincy), Massachusetts, on October 30, 1735, John Adams was the oldest of John and Susanna Boylston Adams’ three sons. The elder Adams was a farmer and shoemaker who also served as a Congregationalist deacon and an official in local government. Did you know? 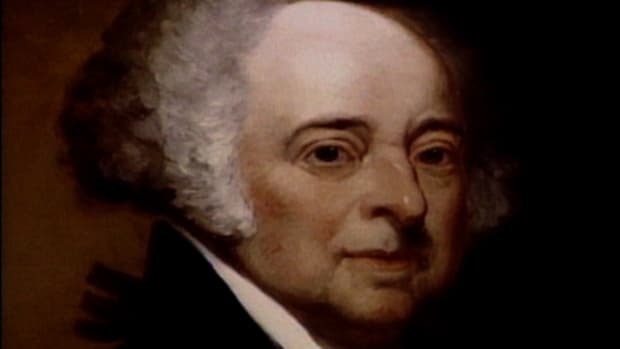 In November 1800, John Adams became the first president to reside in the White House. Construction of the presidential home, which was designed by Irish-born architect James Hoban, began in 1792. President Theodore Roosevelt (1858-1919) officially named it the White House in 1901. A strong student, Adams graduated from Harvard College in 1755. He then taught school for several years and studied law with an attorney in Worcester, Massachusetts. Adams began his law career in 1758 and eventually became one of Boston’s most prominent attorneys. 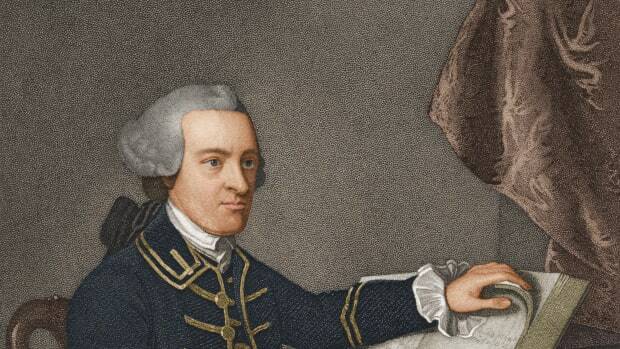 During the 1760s, Adams began challenging Great Britain’s authority in colonial America. 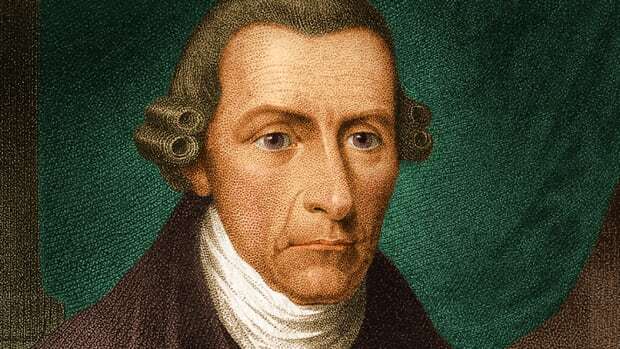 He came to view the British imposition of high taxes and tariffs as a tool of oppression, and he no longer believed that the government in England had the colonists’ best interests in mind. 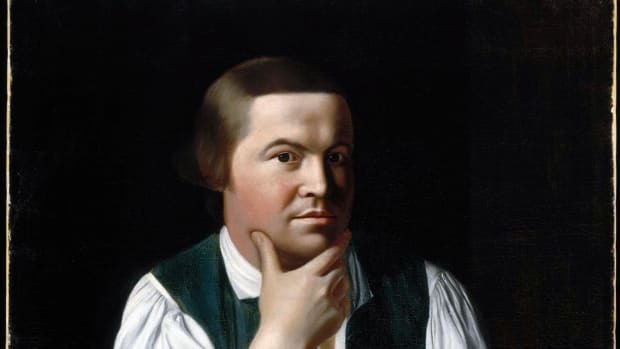 He was a critic of the Stamp Act of 1765, in which the British levied a tax on legal documents, newspapers and playing cards in the North American colonies. Adams also spoke out against the Townshend Acts of 1767, which levied tariffs on goods such as paper, glass and tea that were imported to America. Despite his objection to what he thought was unfair taxation by the British, Adams, a principled man, represented the British soldiers accused of murder in the Boston Massacre of March 1770. Adams wanted to ensure that the soldiers–who were charged with firing into an unruly crowd of civilians in Boston and killing five people–received a fair trial. In 1774, Adams attended the First Continental Congress in Philadelphia as a Massachusetts delegate. (The Continental Congress served as the government of the 13 American colonies and later the United States, from 1774 to 1789.) 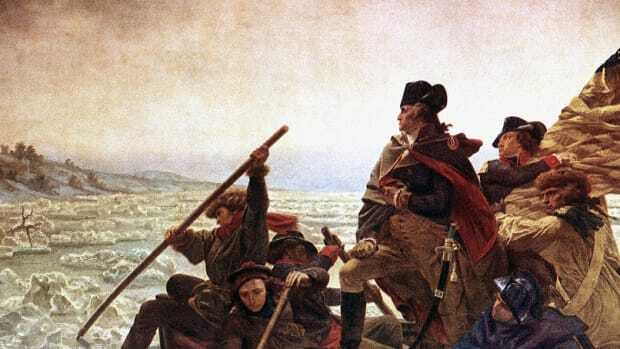 In 1775, as a delegate to the Second Continental Congress, Adams nominated George Washington (1732-99) to serve as commander of the colonial forces in the American Revolutionary War (1775-83), which had just begun. As a congressional delegate, Adams would later nominate Thomas Jefferson to draft the Declaration of Independence. In 1778, Adams was sent to Paris, France, to secure aid for the colonists’ cause. 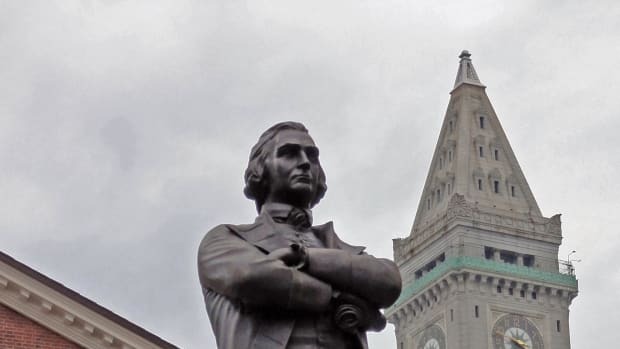 The following year, he returned to America and worked as the principal framer of the Massachusetts Constitution (the world’s oldest surviving written constitution). 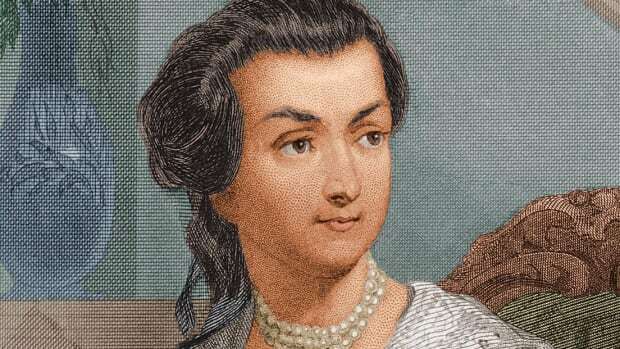 By the early 1780s, Adams was in Europe again, serving in a diplomatic capacity. In 1783, he, along with John Jay (1745-1829) and Benjamin Franklin (1706-90) helped negotiate the Treaty of Paris, which officially ended hostilities between America and Britain. Franklin had served as the American minister to France since 1776, and while Adams often felt that he worked harder than Franklin, it was the older man’s charm that opened diplomatic doors for his blunter, more combative colleague. Although Washington and Adams shared many political views, the vice president’s role seemed primarily ceremonial, and Adams spent the next eight years, from 1789 to 1797, in frustration. Adams once remarked: “My country has in its wisdom contrived for me the most insignificant office that ever the invention of man contrived or his imagination conceived.” When Washington retired in 1796, Adams ran for the presidency and won over Thomas Jefferson, who became vice president. Adams took office in March 1797, and his presidency was quickly taken up with foreign affairs. Britain and France were at war, which directly affected American trade. During his tenure, Washington had managed to maintain neutrality, but tensions had escalated by the time Adams became president. In 1797, he sent a delegation to France to negotiate a treaty but the French refused to meet with the delegates, and the French foreign minister, Charles Maurice de Talleyrand-Perigord (1754-1838), demanded a large bribe. Adams refused to deal with the French on these terms, and the bribery scandal, which became known as the XYZ Affair, boosted Adams’ popularity immensely. An undeclared naval war broke out between the U.S. and France in 1798 and lasted until 1800, when a peace treaty was signed. Adams squandered his popularity by signing the Alien and Sedition Acts into law in 1798. Ostensibly written to protect American interests, the acts gave the government broad powers to deport “enemy” aliens and arrest anyone who strongly disagreed with the government. Jefferson and his allies, who called themselves the Democratic-Republicans, assailed these laws, declaring them unconstitutional. 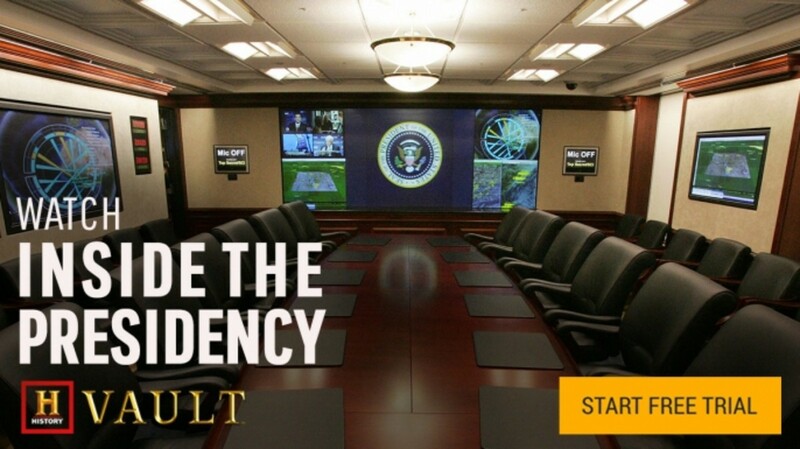 Many Americans, having shed one oppressive government, feared that their new government might resort to similar tactics. Although the laws were never abused and, in fact, had built-in expirations, they hurt Adams and helped cost him the election in 1800. After his presidency, Adams had a long and productive retirement. He and his wife lived in Quincy, Massachusetts, and the former president spent the next quarter-century writing columns, books and letters. In 1812, he was encouraged to begin exchanging letters with his old rival Thomas Jefferson, and their voluminous correspondence lasted the rest of their lives. 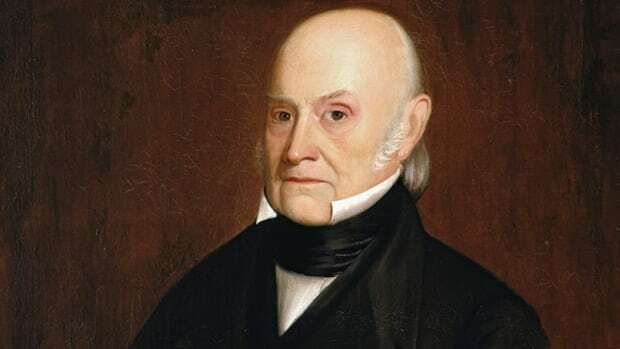 Abigail Adams died in 1818 but John Adams lived long enough to see his son John Quincy Adams (1767-1848) become America’s sixth president in 1824. By that point, the elder Adams and Jefferson were among the last living signers of the Declaration of Independence. On July 4, 1826 (the Declaration’s 50th anniversary), the 90-year-old Adams uttered his last words: “Thomas Jefferson still survives.” He died later that day. What he did not know was that earlier that morning Jefferson, too, had passed away.